At the heart of Ortigas, in the Corner Market Food Hall of the Podium, is the new home of Pizza Morena. This is good news to its loyal customers as this pizza concessionaire previously can only be found in food fairs and weekend markets. Pizza Morena’s offerings are not your run-of-the-mill pizzas. 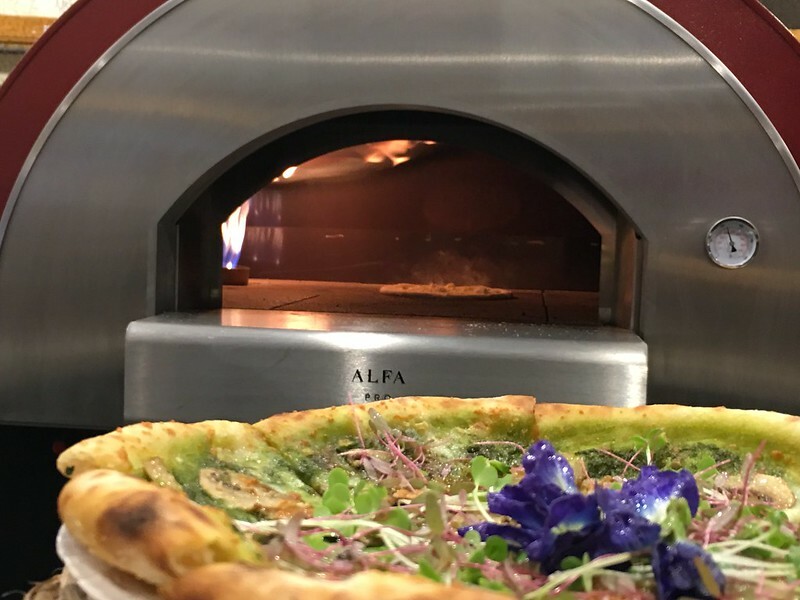 They are topped with choice fresh ingredients and, when ordered for dine-in, are baked in wood-fire ovens or packed frozen so that pizza lovers so inclined can enjoy it at home. 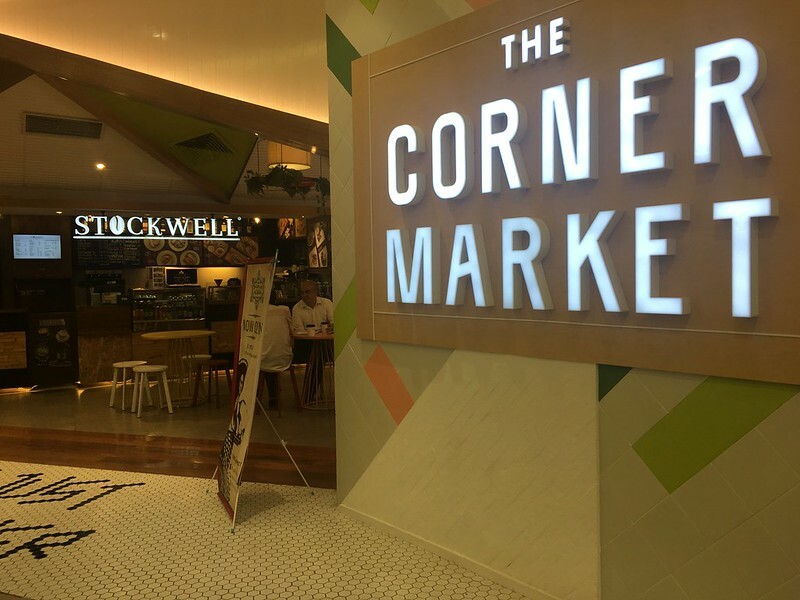 Together with other foodies and bloggers, I attended the opening of new stores in the Corner Market Food Hall of the Podium. One of the said stores is Pizza Morena. 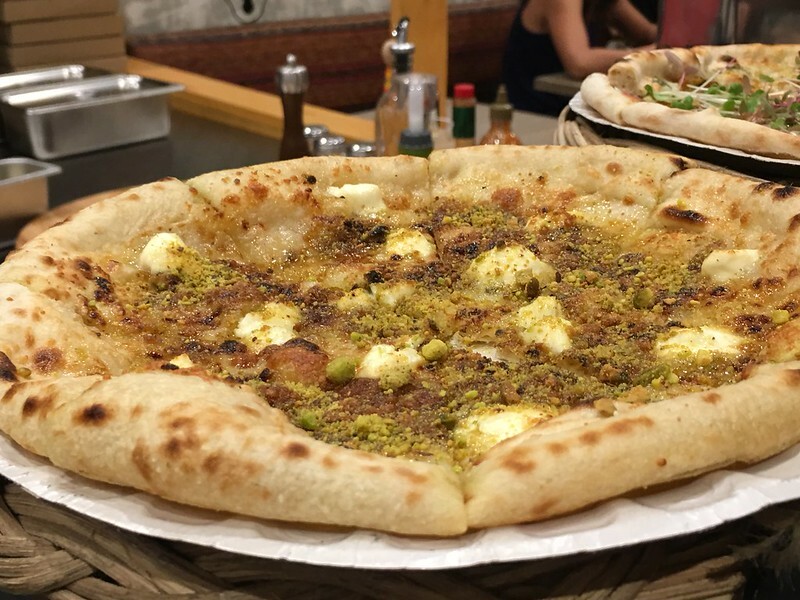 There, our group was able to sample some of Pizza Morena’s signature offerings, cooked in a wood-fired brick oven, giving the pizzas a crispy golden crust that frame the flavors of their exotic toppings. Pizza Morena (Php350). I liked the store’s eponymous dish for its nutty and slightly sweet flavor (owing to the pistachios and honey), further enhanced by a bit of truffle oil amidst a mixture of mascarpone and mozzarella. Margherita (Php300). I found this pizza light and classic with its tomato base topped with mozzarella and parmesan, dried oregano and olive oil. Pepperoni and Hot Honey (Php350). 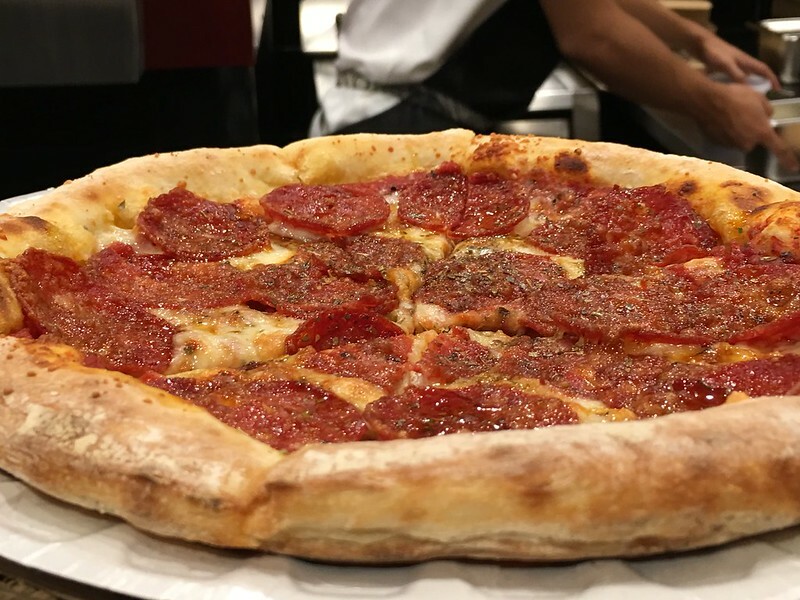 Hot honey gives the familiar pepperoni pizza got a slight boost of sweetness. Spinach and Artichoke (Php350). My favorite among the pizza variants I tasted wherein the popular dip flavor is given a pizza treatment. 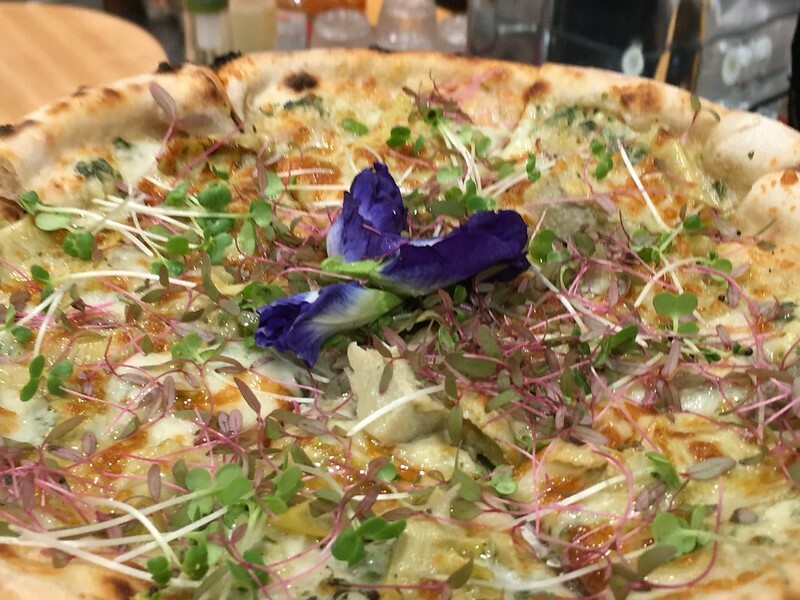 A creamy spinach, parmesan, artichoke and olive base is topped with microgreens and edible flowers. 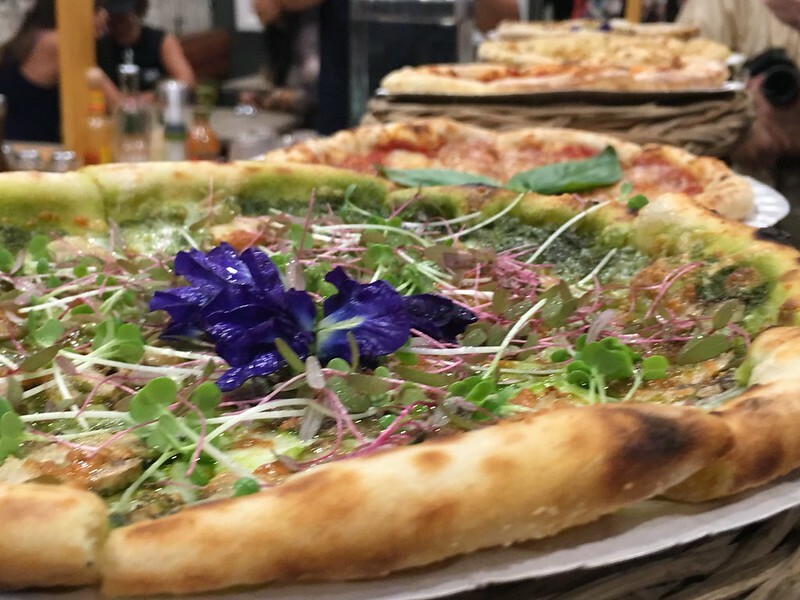 If you’re concerned about your diet or prefer not to consume food without animal products, you would be happy to know that Pizza Morena’s Pesto with Mushrooms, Margherita and 4 Cheese all have vegan options (yes, cheeses used are vegan too). We also sampled its newly launched Burrata Salad (Php250 for regular | Php300 for large). 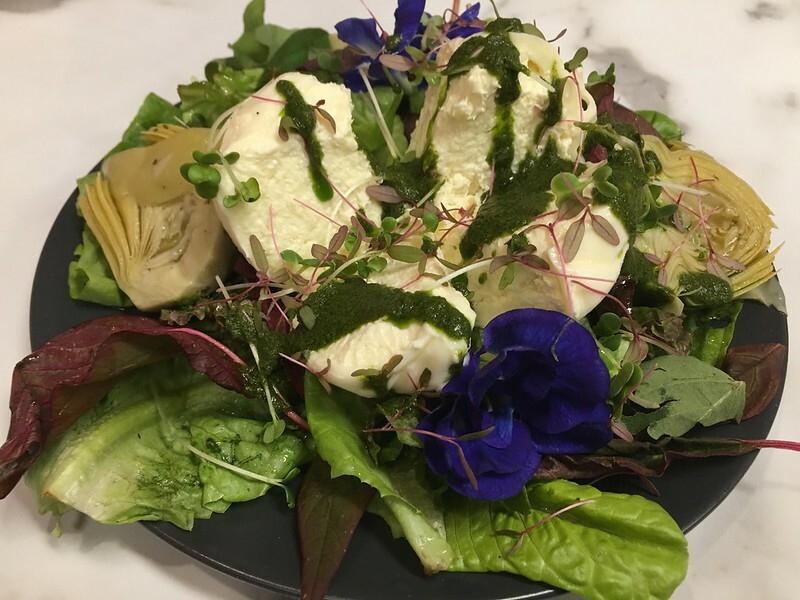 The burrata cheese made from mozarella and cream adds some heartiness to this salad of organic greens and edible flowers, all sourced from a local farm. I’m so glad that Pizza Morena has expanded its reach beyond weekend markets. 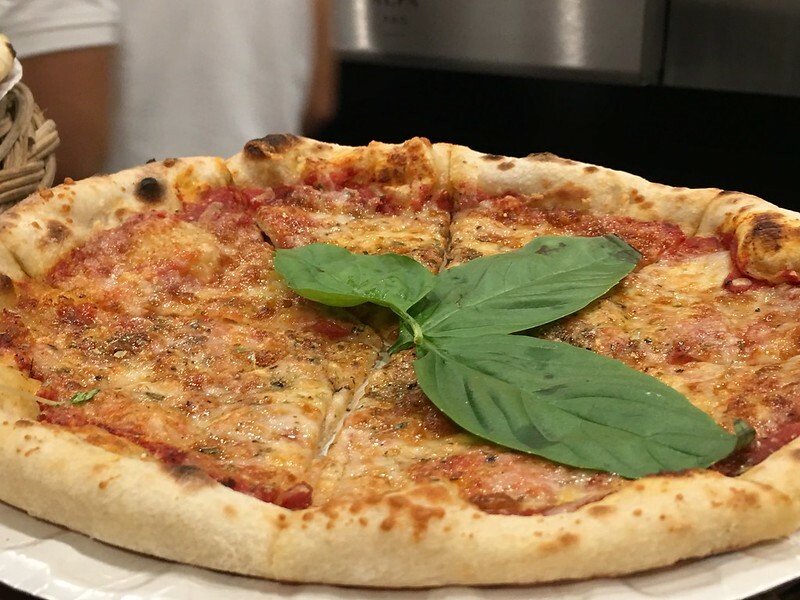 With this store, easily accessible to Pasig, San Juan and Mandaluyong denizens, more pizza lovers looking for more exotic takes on their favorite will get their cravings sated. Pizza Morena is located at the Corner Market Food Hall, Second Floor, Podium Mall, Ortigas Center, Pasig City. It is open daily from 11am to 10pm. Disclosure: Together with other food bloggers, I was invited to attend a Blogger Event held in the Corner Market. Food items mentioned here were served to allow us to sample the fare and were not paid for by the attendees, including myself.